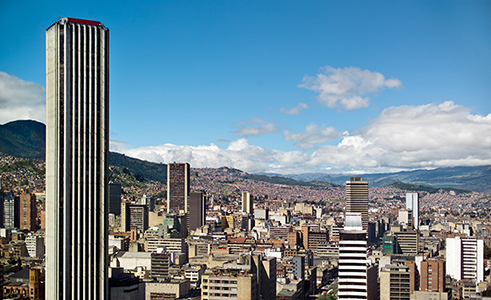 FMA International is pleased to announce the 2019 Conference in Latin America at Pontificia Universidad Javeriana (Carrera 7, #40 - 62) in Bogotá, Colombia. 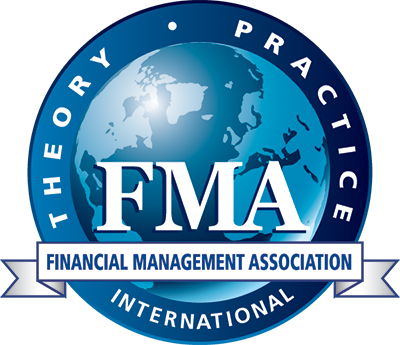 As part of FMA’s Global Series, this conference will bring together academicians and practitioners with interests in financial decision-making and provides a forum for presenting new research and discussing current issues in financial management and related topics. Presentations of research papers, panel discussions, tutorials and exhibits will begin Thursday morning and end Friday afternoon. The Doctoral Student Consortium (by application) will be held on Wednesday. The program also features a keynote presentation by Andrew Karolyi of Cornell University. Professor Karolyi is an internationally-known scholar in the area of investment management, with a specialization in the study of international financial markets. He has published extensively in journals in finance and economics, including the Journal of Finance, Journal of Financial Economics and Review of Financial Studies, and has published several books and monographs. His research has been covered extensively in print and electronic media, including The Wall Street Journal, Financial Times, The Economist, Time, New York Times, Washington Post, Forbes, BusinessWeek, and CNBC. He also authored the recently published book in the FMA Survey and Synthesis Series titled, Cracking the Emerging Markets Enigma. All applications were due Friday, 4 January 2019. For exhibit and sponsorship opportunities, click here. Please contact Michelle Lui at +1.813.974.2084 or [email protected] to arrange sponsorship or exhibit space. Important: FMA has been made aware that a service provider may have contacted a number of individuals who are attending the 2019 Global Finance Conference, to offer hotel reservation services. Neither FMA nor Pontificia Universidad Javeriana has contracted with a provider to offer hotel reservation services. No one is authorized to contact you directly to book your hotel room or offer you a “special discounted conference rate”. If you receive one of these calls or emails, it is a scam. Please do not respond to any phone calls or email or share any personal information with these companies. Declared as the First Wonder of Colombia, the Salt Cathedral of Zipaquirá is an underground Roman Catholic church built within the tunnels of a salt mine 200 metres (220 yd) underground in a halite mountain near the town of Zipaquirá, in Cundinamarca, Colombia. It is considered one of the most notable achievements of Colombian architecture. The tour includes round trip transportation from Bogotá, entrance fees, English speaking guide, city tour of Zipaquirá, and lunch at Andrés Carne de Res in the Municipality of Chía. The tour cost is $86 (US) per person. 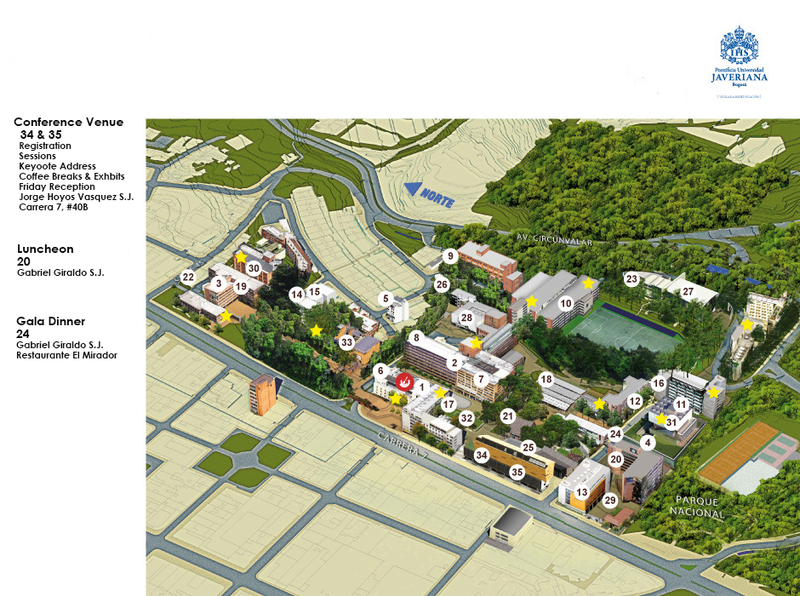 The tour group will depart from the conference venue (Edificio Jorge Hoyos Vásquez) at 7:00 am. If you have already registered for the Conference and would like to add the Excursion to your registration, please complete the tour reservation form here prior to 1 May 2019. For participants seeking a formal invitation from FMA for either institution support or visa requirements, please contact Karen Wright at +1.813.974.2084 or [email protected]. Participants must be registered for the conference in order to receive an invitation letter. During the conference, use the hashtag #FMABogota2019 to follow the conversation on social media. Pontificia Universidad Javeriana was founded in 1623 and is a pioneer in higher education in Colombia. La Javeriana was the first university in Colombia to receive a high quality accreditation. La Javeriana has built a network of bilateral and multilateral agreements with national and international higher education institutions. Currently, it has 170 specific agreements for academic collaboration that include exchange options for the university community in 30 countries in North America, Europe, Latin America and Asia.